REPORTER FILE PHOTO | The president of the Gift of Life Foundation thanks the community. On behalf of the board of directors of the Island Gift Of Life, I would like to extend our thanks to the community for their overwhelming support of the Cheryl Hannabury Memorial Community Cocktail party held a the Ram’s Head Inn Saturday, March 2. In addition, my thanks goes out to all of the volunteers, contributors and underwriters that helped to make this event possible. This is one of two events, the other being the Beach Blast, (of late afflicted with bad weather), that the Foundation depends on to fund it’s efforts to aid those with life threatening illness as well as to increase the bone marrow donor registry. The Gift Of Life was the inspiration of Cheryl Hannabury and is her legacy. At the outset, we on the board actually worried that “business” was not good, people didn’t seem to need us, but as the years rolled on — this is our 14th — we developed traction. Through doctors, clergy, social workers, and just plain word of mouth coupled with hard economic times, our “business” is booming. This is certainly a mixed blessing and great challenge, but one we are endeavoring to meet. 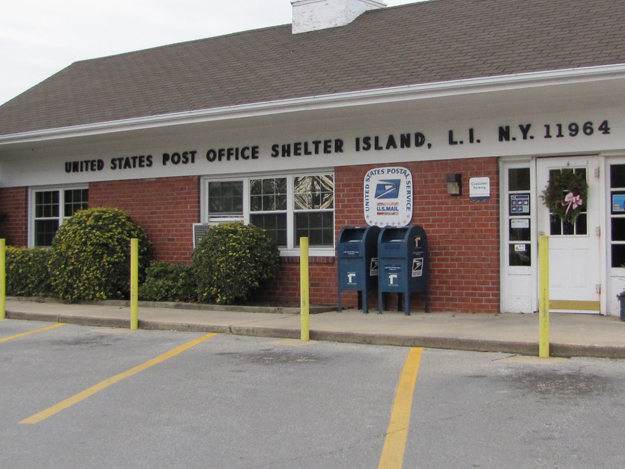 Our service area includes the four towns east of Riverhead, though we in some way try to help anyone who contacts us. At this moment we have fourteen active cases. It is clear that despite successful events such as the recent Ram’s Head Inn party, soon the volume of cases may outstrip our ability to raise these life giving funds. It is our hope that you will continue to keep the Gift Of Life in your hearts throughout the year. Not only through monetary donation, though this is always welcome, but by helping to spread the word not only to those in need and to others who may be able to help the Foundation continue it’s mission. We are also always in need of new volunteers whether as board members or on one of our committees. Please feel free to contact us at any time for any reason. We are a 501-(c 3) corporation and may be reached through our website at islandgiftoflife.org or by contacting any board member directly. Again, thank you all for helping to make this month’s event truly a great party. ELEANOR P. LABROZZI PHOTOS | Auctioneer Ken Lewis (right) at the Gift of Life Foundation's 12th annual fundraiser Saturday at the Ram's Head Inn. 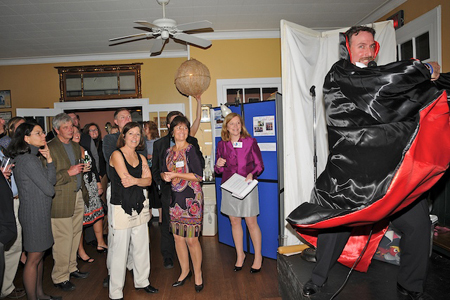 A big turnout made for a successful night for the Gift of Life Foundation Saturday when it held its 12th annual fundraising cocktail party and auction at the Ram’s Head Inn. Started in memory of Cheryl Hannabury, an Islander from a long line of Islanders, the Foundation raises money to assist East Enders who are suffering from life-threatening diseases. Ms. Hannabury died after a battle with non-Hodgkins lymphoma. Her mother Charlotte was among those at Saturday’s event. For more details, see the March 8 edition of the Reporter.